Welcome to A. Anderson Hair and Associates, your premiere beauty stop in Brandon, Florida. We take pride in providing the Brandon area with the latest styles. Specializing in custom haircuts, hair color, highlighting services, we are your one-stop source for all your hair needs. 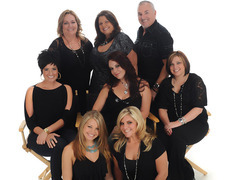 At A. Anderson Hair and Associates in Brandon you will be personally serviced by one of our highly trained staff. Conveniently located in Brandon, on State Rd 60, A. Anderson Hair and Associates is an easy drive from the Valrico, Fishhawk, Riverview, Lithia, and Seffner areas. Call today: 813-685-4900 to book your appointment. To our loyal guests…THANK YOU! To our prospective guests…EXPECT TO BE IMPRESSED! We would like to thank you for taking time to visit our website. Our guests contribute to our continued success behind the chair. It is our intention to use our continued education and creative artistic ability to give our guests the best experience. 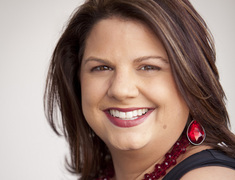 Do you always feel like your stylist is on the same page as you? 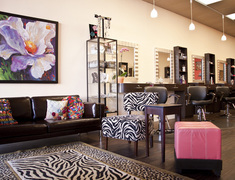 Were you the center of attention at your last salon visit? Did your last service provider have passion for the beauty industry and your desires? If you answered NO to any of these, then you deserve an appointment with one of the talented members of the A. Anderson Hair & Associates Team. We are obsessive about our guests’ satisfaction. We will create a look that has been customized specifically for you! I am honored to be a Redken Artist. This is a great way to keep current on new industry trends and be "in the loop" when it comes to new products and colors. I also have a huge passion for education. Being a Redken Artist gives me the opportunity to share my experiences with other beauty professionals. It is my goal to exceed your expectations as a hairstylist and as a professional in the beauty industry. I strive for excellence and do this through my commitment to continuous education and dedication to professionalism.